find homes for sale in Mountain Home, Idaho! served the needs of Mountain Home and Mountain Home Air Force Base since 1980. We are a locally owned and locally grown small business. Scroll down for more great Real Estate information about Mountain Home Idaho. 4 Beds , 3 Baths , 3,703 Sq. Ft.
1680 concrete apron on house garage, horse barn, hay storage, irrigated pasture, new variable speed pump in well, scenic views, perimeter fencing, mature landscaping, full auto sprinklers, two driveways, heated kennels, covered patios front and back. Pride of ownership is evident from inside and out. Guaranteed not to disappoint. Bring your family and your animals. Frank took care of us like we were family and had great response times and updates on our home buying process. Very knowledgeable in the location and went above in helping us. He will solidly be our go to agent for future selling and buying and will reccomend him to all our friends and colleagues. My first home, and she looked for and got me exactly what I was looking for. Once again we were selling a property and buying one at the same time, we needed the sale and the purchase to go hand in hand. Karla did a excellent job understanding this and making it happen so that all parties were taken care of and we all met our needs as far as all three parties moving to accommodate all of us. She always super exceeds all expectations for us. Once again thank you very much Karla for all your efforts. I would strongly recommend Karla to anyone for there real estate needs, she knows how to make things happen and follows through to the end. Ernie was wonderful to work with. He listened to my needs and understood my unique situation. He made the entire process a breeze. The only thing we really had to do was "hurry up and wait!" Ernie knows Elmore County, local inspectors, and he works great with other Realtors. Ernie is a USAF veteran and keenly understands the needs of PCSing military personnel and veterans alike. His staff are quick and very efficient and paperwork is ready quickly. He is flexible with his time and he goes above and beyond to address his clients needs. I highly recommend Ernie to anyone seeking to buy or rent a home in Elmore County, Idaho. Marianne helped us submit a timely offer and was there every step of the way through closing. This led to us getting the house of our dreams. We couldn't be any happier with the whole process! A+++ Go with Christina Drake. She's the BEST!! Fred was very friendly and welcoming. You could tell he wanted what was best for us, his customer. He was very timely and pleasant to deal with. Thank you Fred! Bree is a caring and knowledgeable professional. This has been a very difficult market to find a home in as of late and she gave 100% every time with a smile on her face, no matter how many duds we looked at. She works within her scope as a realtor and was helpful and informative every step of the way, letting us know what the next steps would be and preparing us. We will be using Bree as our realtor for as long as we are in the area. She told us it could sell as fast as the very first weekend it would be on the market, and it did! The most important quality that I like about Karen is her willingness to listen and thoughtfulness in helping us with what we were asking for. Miguel Ramirez was selected for his professionalism and patience with understanding what I needed from him as a realtor. Miguel however, went above and beyond his responsibility's as a realtor just to help me get the best offer on my home. From giving me suggestions on staging to really helping me navigate the sale being over 3,000 miles away. Miguel Ramirez has cemented himself has a great realtor that's very knowledgeable and up front about buying and selling in Mountain Home. He has also cemented himself as a great family friend. The great service he has provided me, has me telling everyone I know. Thank you Miguel!!! Jan Costanzo was always easy to get along with. She had plenty of patience putting up with us viewing house after house until we found the right one. She always made us comfortable and provided us with everything we needed to decide on the house for us. I would definetly recommend her to anyone looking to buy a house and I will definetly use her again in the future. Connie Clark did an amazing job through the entire process. Every time we needed her, she was available. While looking at houses she would notice things that my husband and myself would not. She was always very friendly and acknowledged both my husband and myself, also our son! She is definitely someone I would work with again! She is local and knows her stuff about our small town! In fact I hope I get the chance to work with Connie Clark again! Karla has handled all of my real estate needs and i am always extremely happy with everything she does for me. She always goes over and beyond in every aspect. I would never use any other agent for my buying and selling needs. Thank you so much Karla this was a difficult one and you made it easy for us. He worked hard on my behalf. Marianne Bate was always on top of everything. She always kept us informed as to what was going on. Marianne helped us to find quailified people who could do repaires and she personally helped us do some painting. She went over and above our expectations! Thank you for selling our home! You went above and beyond! Thank you!! Fred made my first time of selling a house incredibly smooth. He took the time to thoroughly answer any questions I had and went above and beyond what I expected to help with closing. Very professional and delightful to work with. Went out of her way to get things done in our behalf. Miguel was friendly considerate and very efficient with time periods and paper work. We stated our needs for a new house and we got what we wanted. He was honest and available at all times. We would recommend to anyone who want a new house. Jan Costanzo was extremely helpful, kept contact with me and understood why I was looking for a home. Her consideration in staying in touch with me after the sale was refreshing and so very helpful to me. Thank you Jan! Unlike other agents, she was always willing to come out on any day, at any time to show me homes that were or had become available. I feel she was honest and truthful in what she advised me. I would definitely recommend Jan to anyone I knew who was looking to purchase a home. Mountain Home, Idaho's most comprehensive Real Estate site. Where home buyers & sellers go to for results. We are a Veteran owned small business, when you need to buy or sell a home in Mountain Home, Idaho. ©2018 CENTURY 21 Southern Idaho Realty. 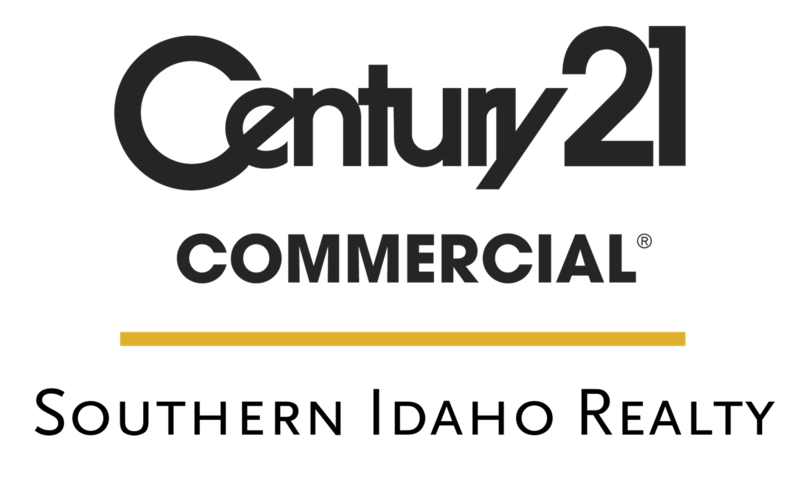 CENTURY 21® and the CENTURY 21 Logo are registered service marks owned by Century 21 Real Estate LLC. Century 21 Real Estate LLC fully supports the principles of the Fair Housing Act and the Equal Opportunity Act. Each office is independently owned and operated. Views and opinions expressed on CENTURY 21® System member's social media properties do not necessarily represent the views and opinions of Century 21 Real Estate LLC. All information provided by the listing agent/broker is deemed reliable but is not guaranteed and should be independently verified. Information being provided is for consumers' personal, non-commercial use and may not be used for any purpose other than to identify prospective properties consumers may be interested in purchasing.